A crime novelist best known for The Talented Mr. Ripley and Strangers on a Train, she infused troubled psychologies into her amoral characters, writing taut thrillers about betrayal, threats, and manipulation. Patricia Highsmith was a strong woman who deserves a place among Gertrude Stein, Ayn Rand, and Margaret Atwood in the pantheon of strong women in the world of letters. 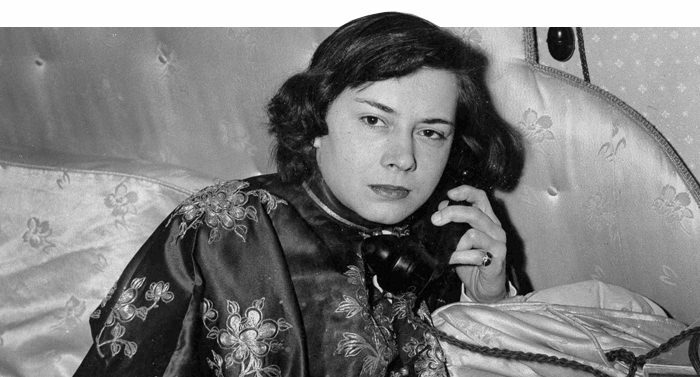 Highsmith was a crime novelist best known for The Talented Mr. Ripley and Strangers on a Train. Her compelling plots and cinematic style led her work to be promiscuously adapted into films. 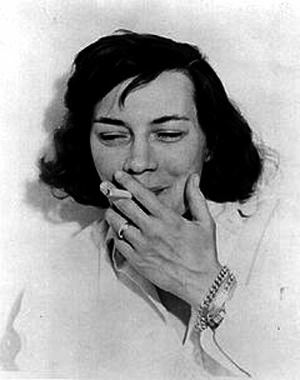 Patricia Highsmith was known to be petulant and tempestuous, with turbulent relationships with people of both sexes--often triangles. It's said that as a child, Highsmith's favorite book was Karl Menninger's The Human Mind, case studies of many mental patients. She would go on to infuse troubled psychologies into her amoral characters, writing taut thrillers about betrayal, threats, and manipulation. In addition to her Ripley franchise, one of her canonical works is one of her earlier novels, Strangers on a Train. This gritty novel tells the story of Guy Haines and Charles Bruno who meet on the rails, confide in one another, and get involved in a criminal web of threats and coercion, each ultimately trying to control one another. The best-selling and critically-acclaimed book was adapted into a film by Alfred Hitchcock. With a screenplay by none other than Raymond Chandler, this adaptation would enter America's film canon. Lux Radio Theater produced two versions of this gem, one in December of 1951, and one in May 1954. The 1951 version starred A-listers Ray Milland and Frank Lovejoy, with Ruth Roman reprising her role in the Hitchcock film. It also enjoyed the presence of actress Patricia Hitchcock, the director's daughter. The 1954 version starred Virginia Mayo, Dana Andrews, and Robert Cummings. Strangers will surprise you, challenge you, and keep you scratching your head for days. Be the first to comment on "Patricia Highsmith"